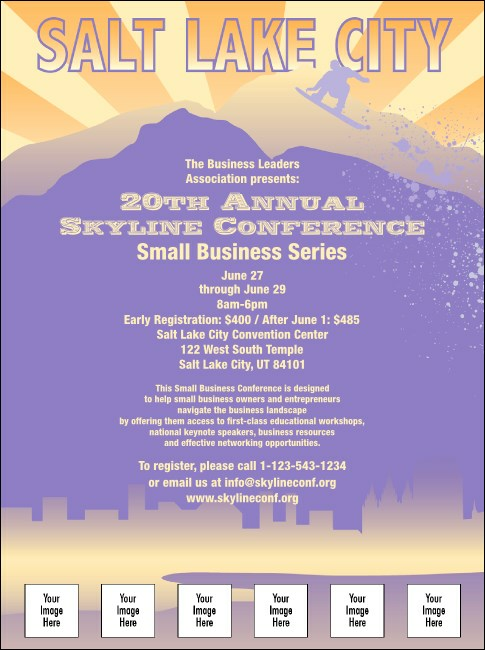 Help your sales hit the summits with a Salt Lake City Flyer. With six customizable image uploads at the base of the Great Salt Lake and a snowboarder catching air at the top, it's perfect for conventions, urban, and recreational events. Also need tickets? Check out the SLC Event Kit to make it complete!